The Granite 1910i from Honeywell lives up to its name: it is the rock-hard 2D area imager that offers more performance for less money. Inside is the same powerful scanning engine as in the best in its class, Honeywell Xenon. The housing is shock-resistant, splash water-resistant according to IP65 and thus perfectly suited for applications in the industry and warehousing. Here, reliability in the field of extremes from -30 ° C to +50 ° C is equally high at all times. This ensures continuous use, even in cold storage and in heavy industry. 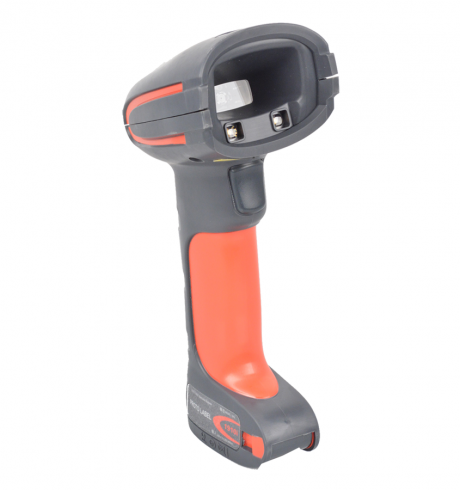 Thanks to proven Adaptus Imaging Technology 6.0 it captures 1D, 2D and PDF barcodes quickly and reliably. The Granit 1910i even correctly decodes damaged or illegible codes with at least 20% of the granite contrast. Especially in noisy or poorly lit environments, the triple feedback feature pays for itself: vibration (optional), beeper and LEDs provide quick and efficient work, and are adjustable according to the requirement. When aiming, both the bright target cross and the boundary lines in the field of view helped.